Count Chocula character was ranked as the #1 Scariest Cereal Box Personality Of All Time. 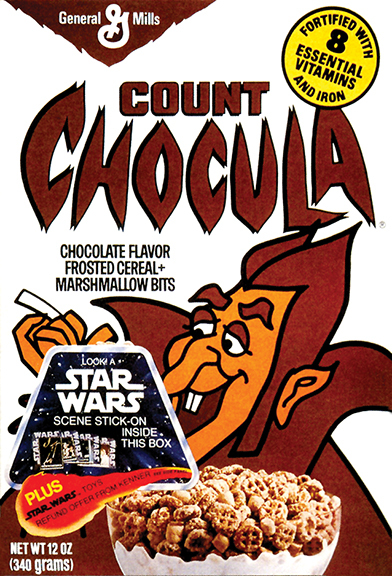 From the General Mills marketing campaign: A spoonful of spooky fun in every bowl, Count Chocula is a whimsical way to start the day. Made with whole grain corn, Count Chocula combines chocolaty cereal with colorful marshmallow shapes to create a delicious cereal that kids and adults can enjoy.